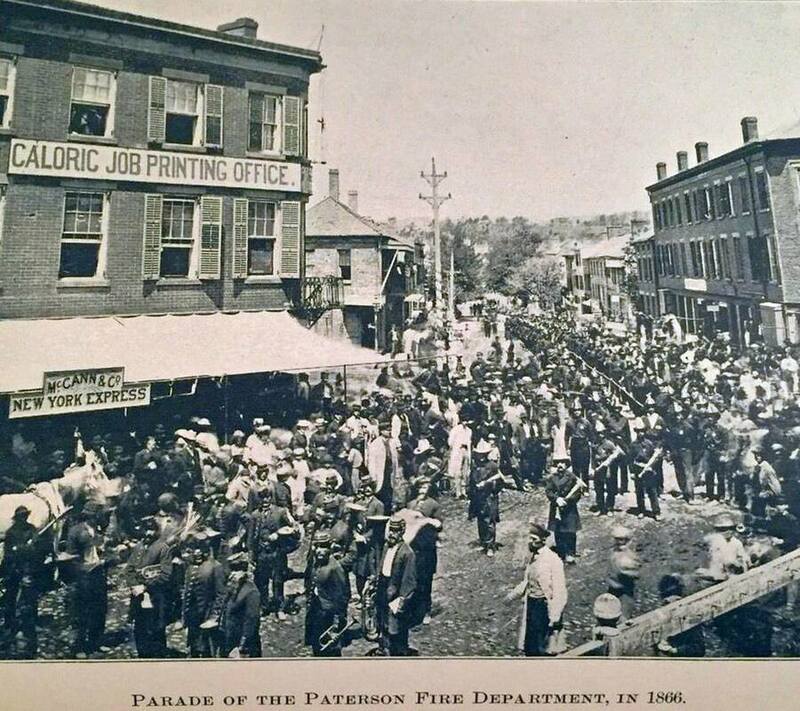 During the civil war the firemen of Paterson were among the first to volunteer their services in defense of he country. 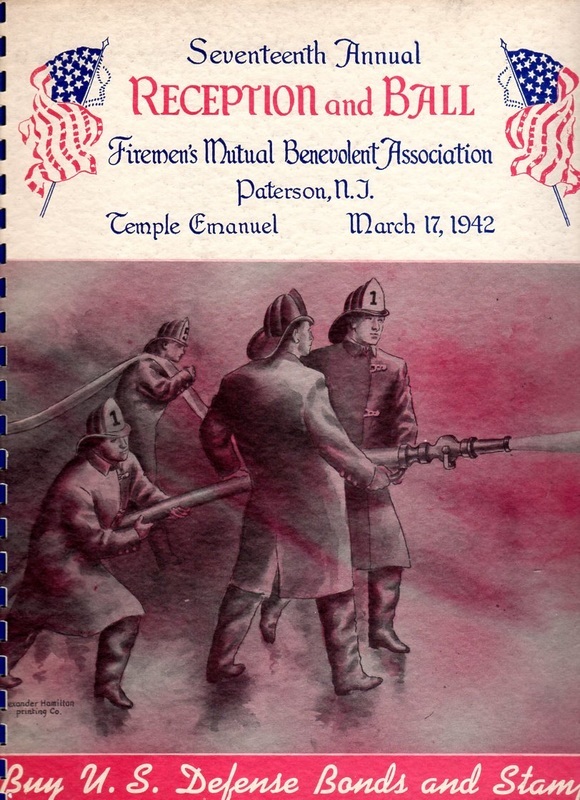 At the time Paterson had several crack militia companies, but no groups volunteered for the Union with greater alacrity than the firemen. 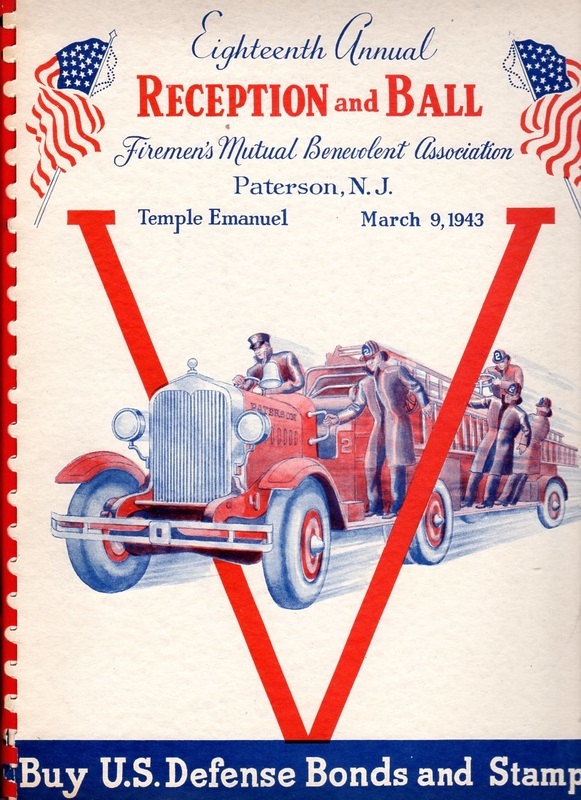 ​Passaic Engine Co. No. 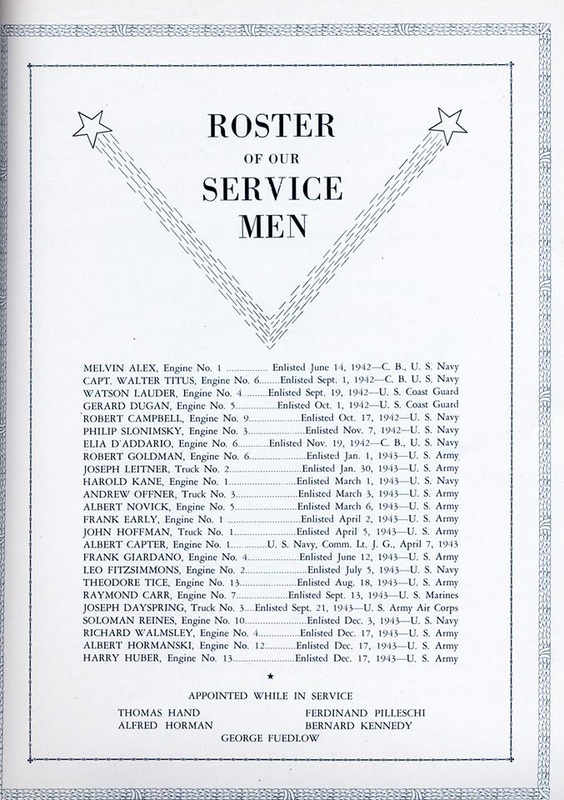 1 had forty-two members. 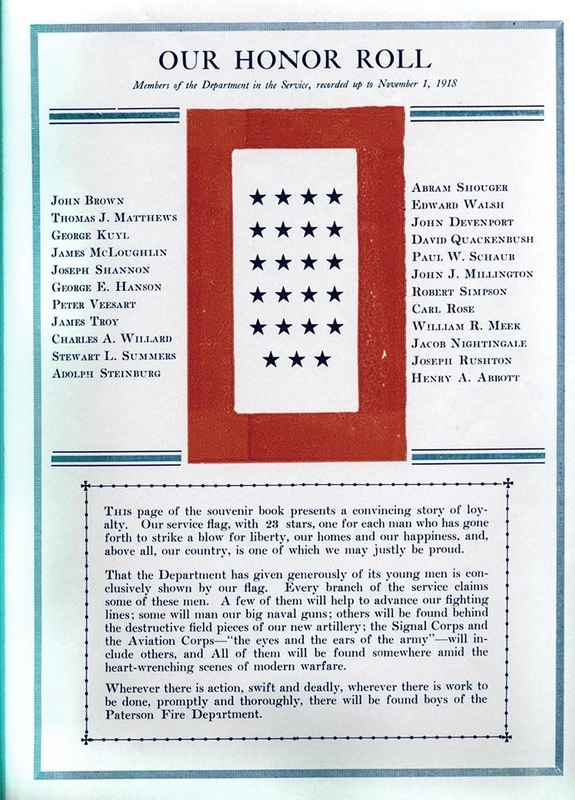 Underneath the names of twenty-eight in the due book are written these words: "Absent in defense of his country." 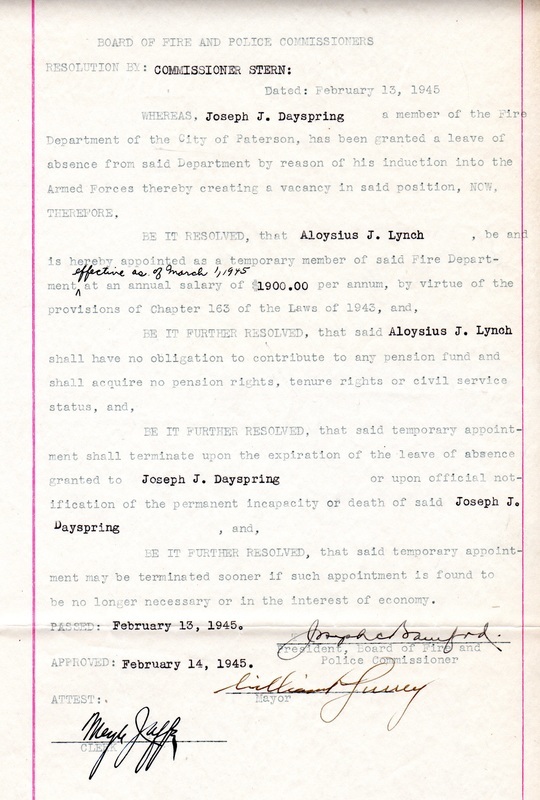 That company's runners (the Passaic Association) enlisted almost to a man. 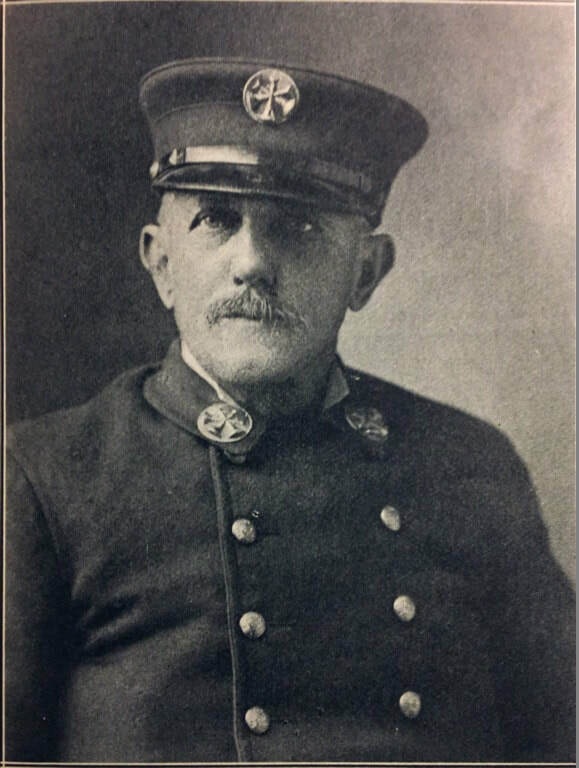 Neptune Engine company 2 and Washington Engine 3 furnished two full companies for the 25th Regiment of the New Jersey Volunteers; Co. A, Captain John McKiernan, and Co. C, Captain Archibald Graham, the former mainly composed of Washington engine 3's men and the latter made up from members of Neptune No. 2. 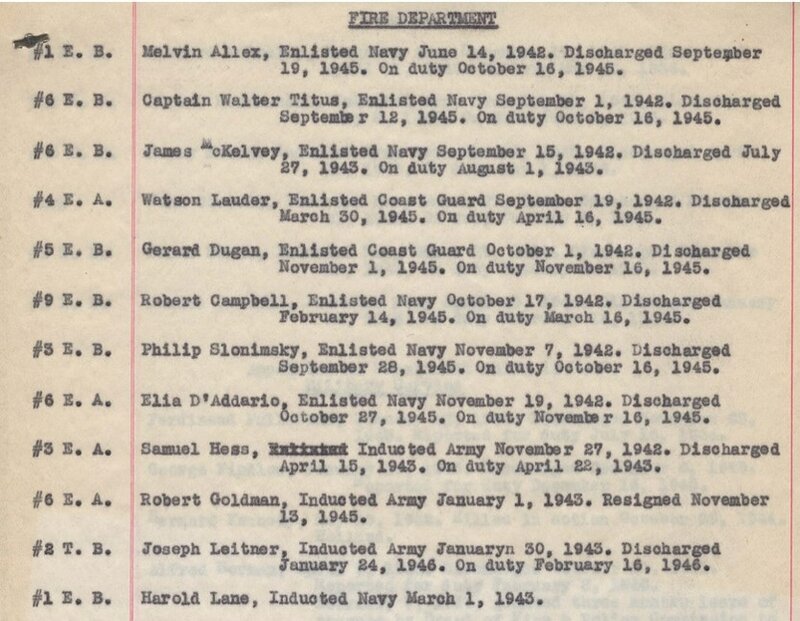 In the old Exempt home on Ward Street displayed in a large oval frame on the wall of the room, were the portraits of company C (in firemen's uniform) of Co. 2's Captain Graham, First Lieutenant William ​J. 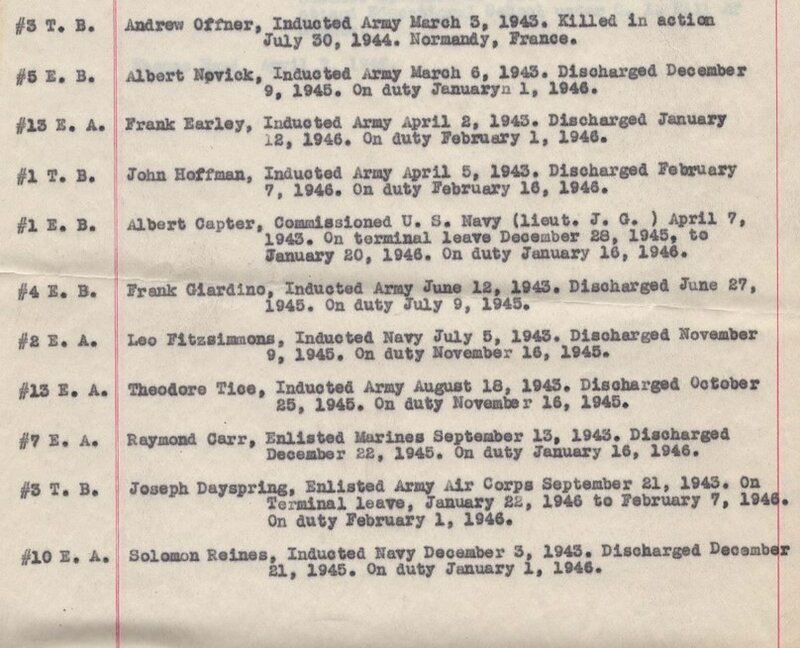 Stevenson, Second Lieutenant Robert Parmley First Sergeant William H. Norris, Sergeant Andrew Doremus, Sergeant Edward Swift, Sergeant Thomas Maher, Henry Coyle, William H. Post, Charles Spittel, Andrew Clark, John Singland, Robert Enkins, Francis D. Clinton, Wiliam Skinner and Albert C. Doremus. 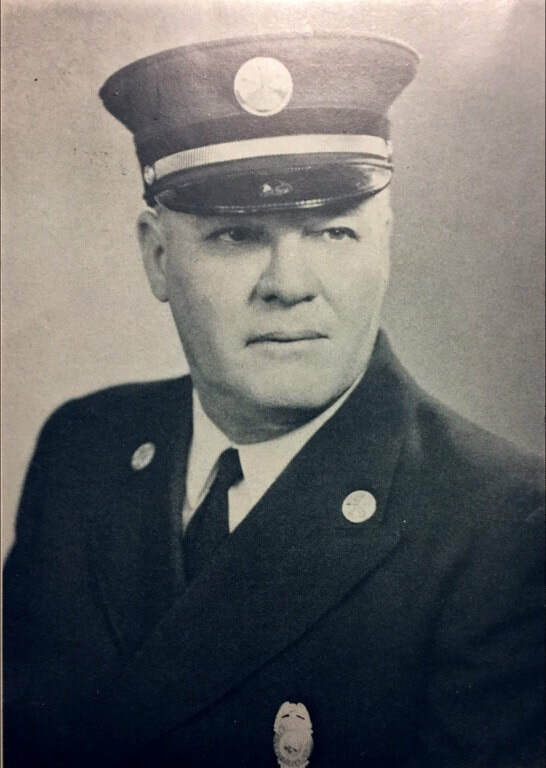 Andrew Derrom, colonel of the 25th, was an old fireman, having served nine years in Neptune No. 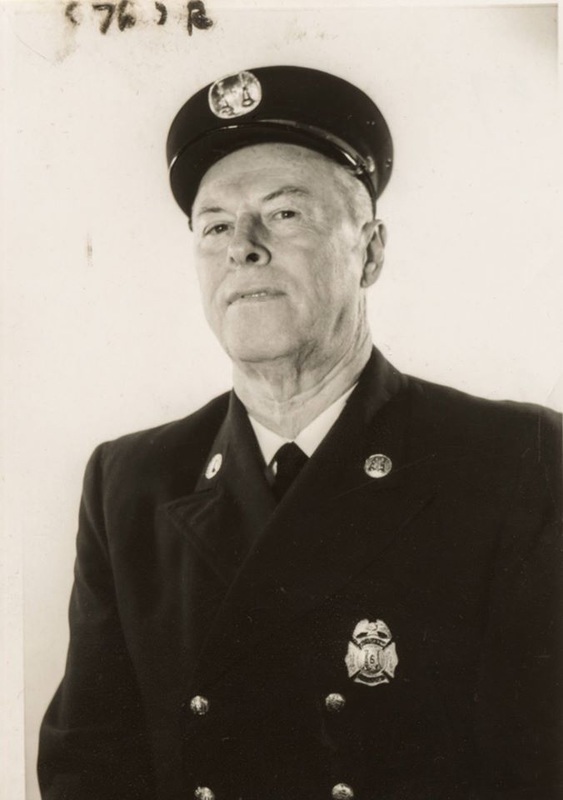 2, and nearly every line officer in the regiment had seen service as a fireman. 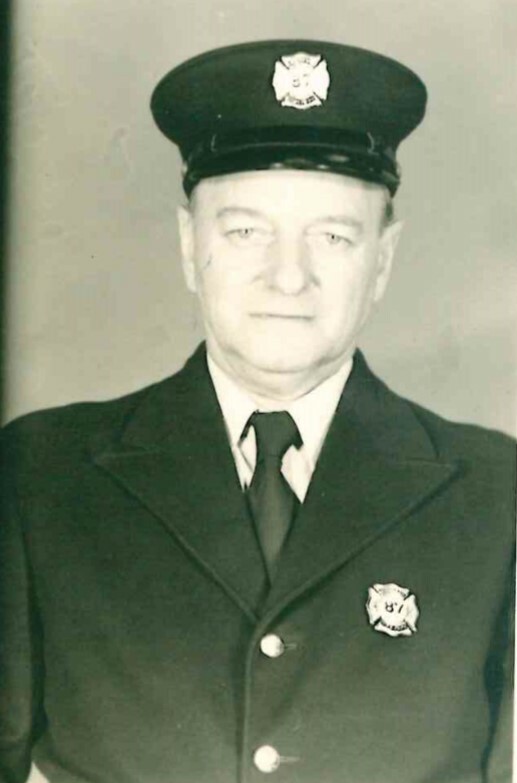 ​Every company recruited in Paterson had in its ranks many firemen, while Co. K, 13th Regiment Volunteers, had for its captain Hugh C. Irish, for many years one of Passaic No. l's most active members. 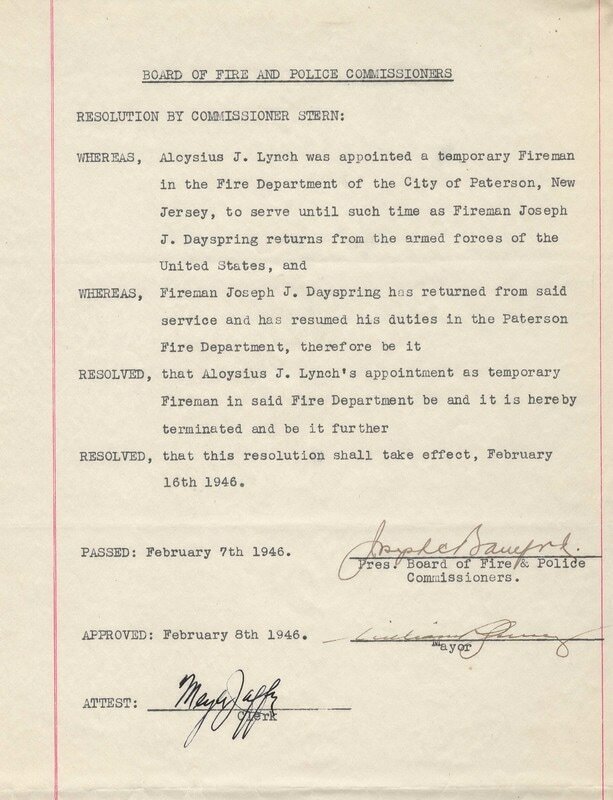 The part taken by Paterson firemen in suppressing the rebellion is a grand one. 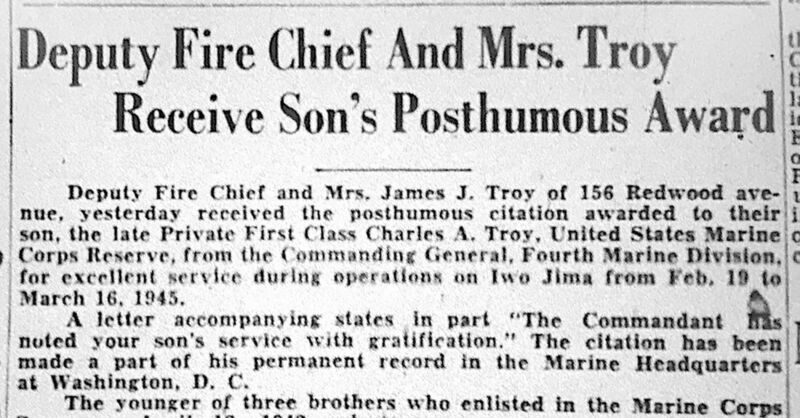 As the war progressed and promotion followed bravery, the fire companies whose members were thus advanced were in the habit of presenting them with the paraphernalia pertaining to the rank conferred. 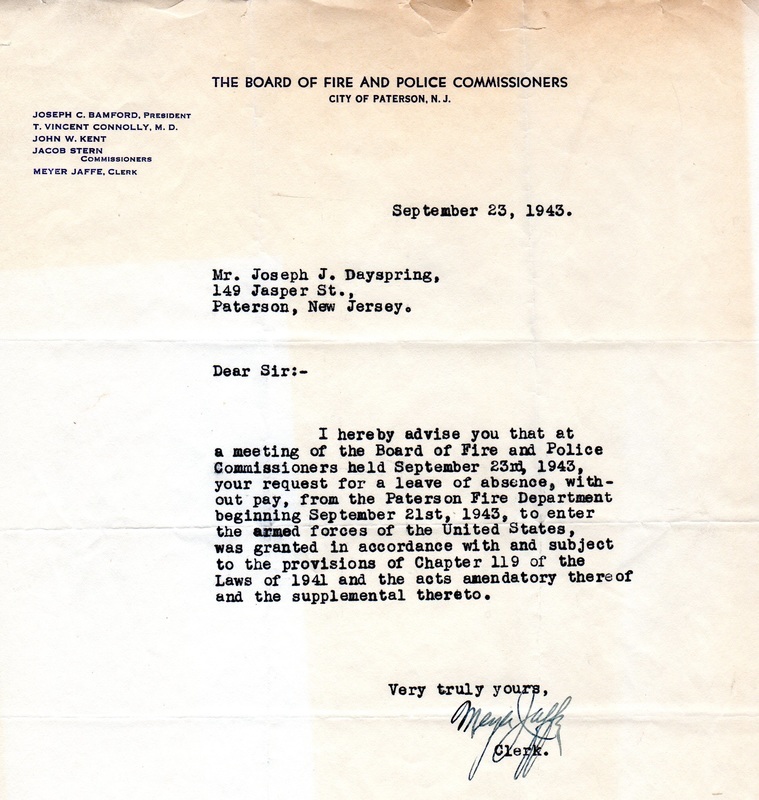 The files of the daily papers frequently contained accounts of presentations to fortunate officers. 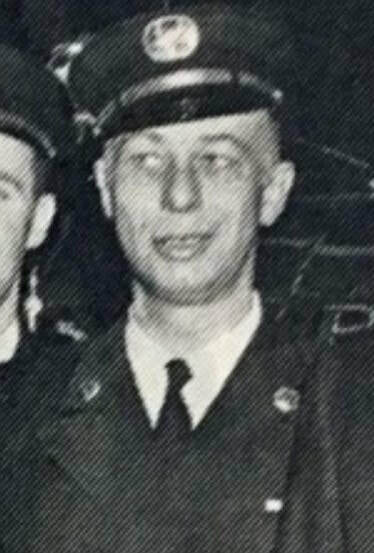 James McKiernan, of Jackson No. 4, was elected Chief Engineer in April, 1861, enlisted in the following September, and came home major of the 7th New Jersey infantry, his duties as chief being performed for the balance of his term, while he was absent at the front, by his assistants. ​William Skinner, of Neptune 2, was killed at the battle of Suffolk, VA., on May 3, 1863. Francis DeWitt Clinton was wounded and suffered the loss of his leg at the Battle of Fredericksburg, VA, on December 13, 1862. 1866 photo of the major post Civil War Parade led by the Volunteers - seen here at West Broadway where it joins Main Street and Broadway. Directly behind (center right) the veterans is the Chief of Department, Andrew Moser, seen with white hat and large Trumpet. 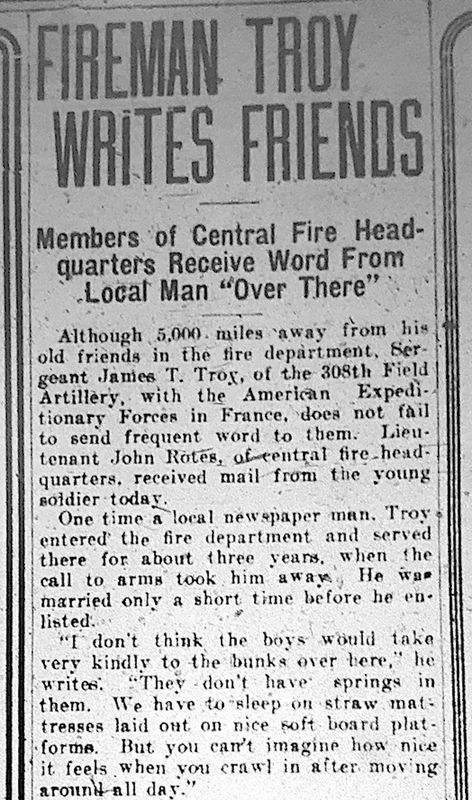 August 24, 1918 - Letter to his fellow firefighters published in the Guardian from then FF James Troy while serving at the front. Prophetically he would go on to be gassed and severely injured. He would also become Chief Engineer in 1946. 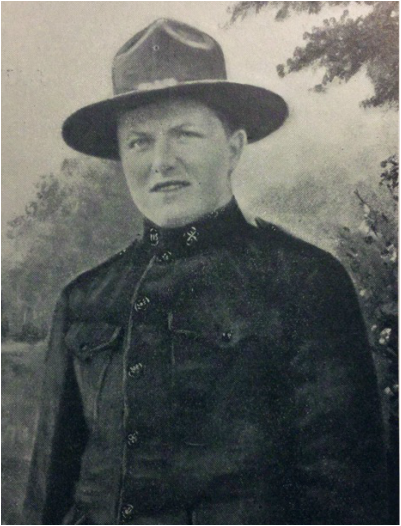 John Millington, born in 1892, who was appointed to Engine Company 10 on February 17, 1918, lost his life (died of disease) in defense of the United States in France during WWI. 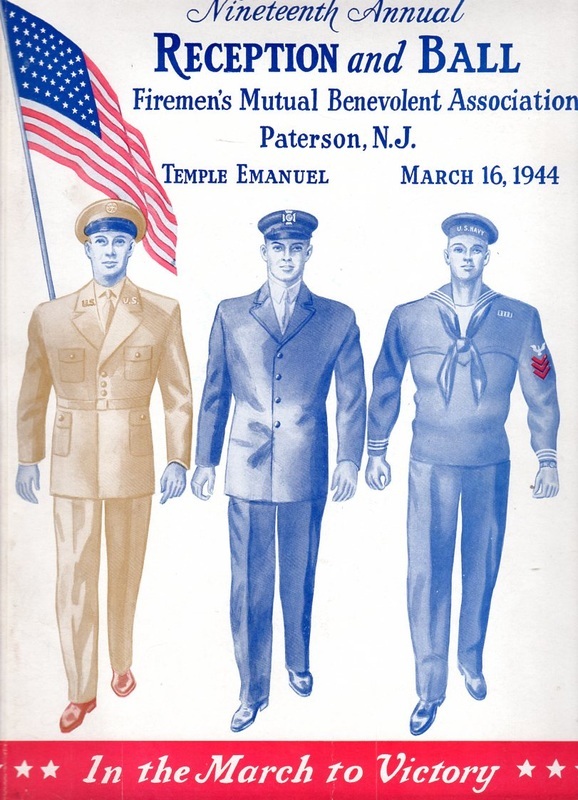 ​evidenced by the 1944 FMBA Ballbook. 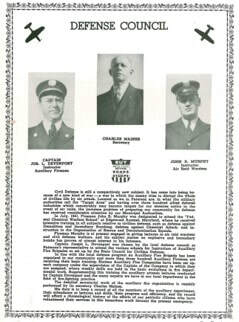 ​Andrew Offner of Truck Company 3 (pictured at the right) was inducted into the United States Army Army March 3, 1943. He died in action at Normandy, France (D-Day Invasion) as a Private on July 30, 1944. 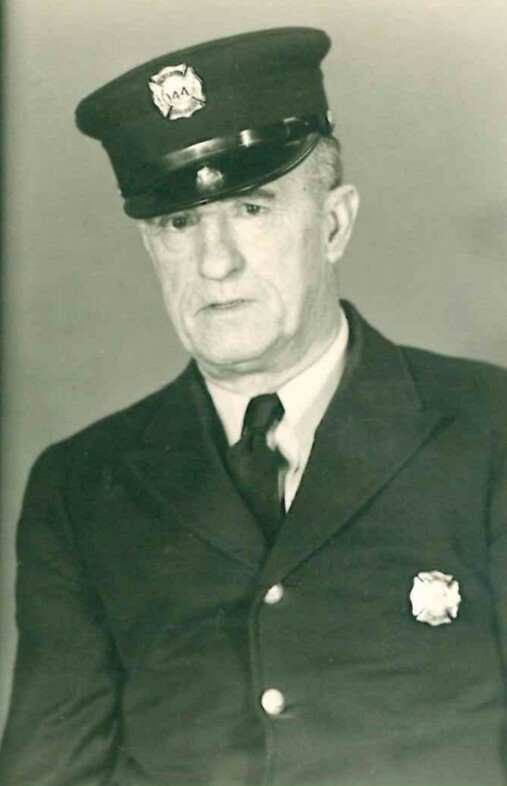 ​​Bernard J. Kennedy was appointed to the Paterson Fire Department May 19, 1942 while already in the service. He wasa Lieutenant when killed in action in Holland October 29, 1944. ​Chief Harold J Kane served in the Pacific theatre as an Aviation Machinist Mate in US Navy March 1, 1943 thru August 27, 1946. He received the Air Medal Presidential Unit Citation with Star for a plane crash while on a mission over the Philipines. He spent 21 months in hospital undergoing graft surgery. 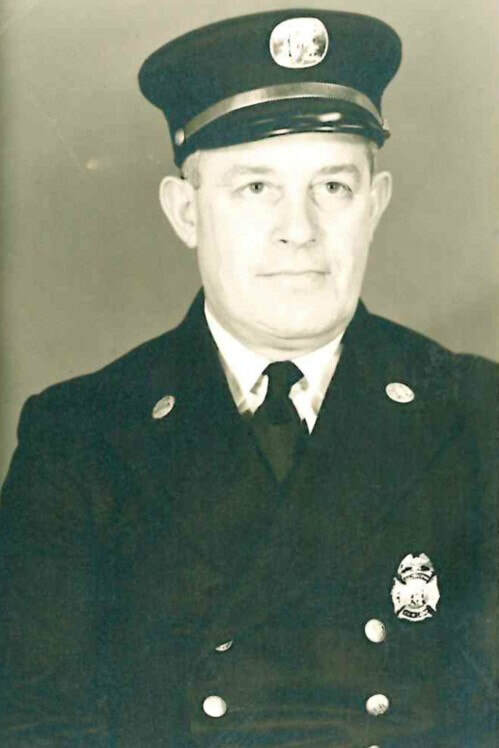 May 31 2016: ​From, North Jersey News: John Walton, a survivor of Pearl Harbor and retired Paterson firefighter, died on Tuesday from injuries he suffered over Memorial Day weekend when his car crashed into a city firehouse where he once worked, officials said. Walton, who was 101, had been the city’s oldest living war veteran, according to Tony Vancheri, president of the Paterson Veterans Council. 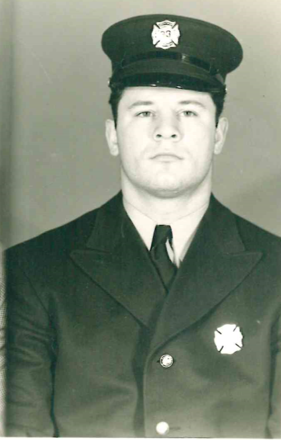 Just several days before his death, Walton had attended a Memorial Day weekend ceremony at Passaic County Technical Institute, Vancheri said. “He was like a magnet the way he drew all the kids to him,” said Vancheri. 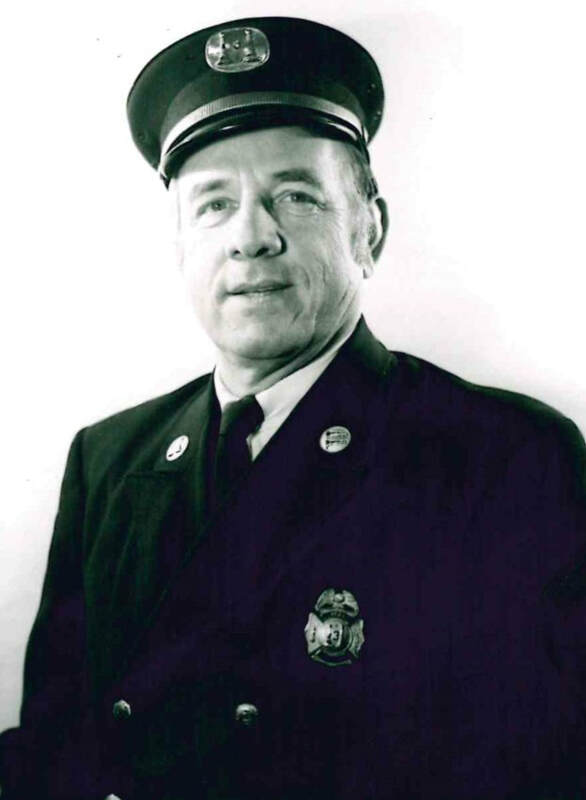 The fatal crash happened on Sunday afternoon, when Walton’s car grazed a fire truck (Engine Company 6) and then rammed into the brick firehouse on Getty Avenue, officials said. 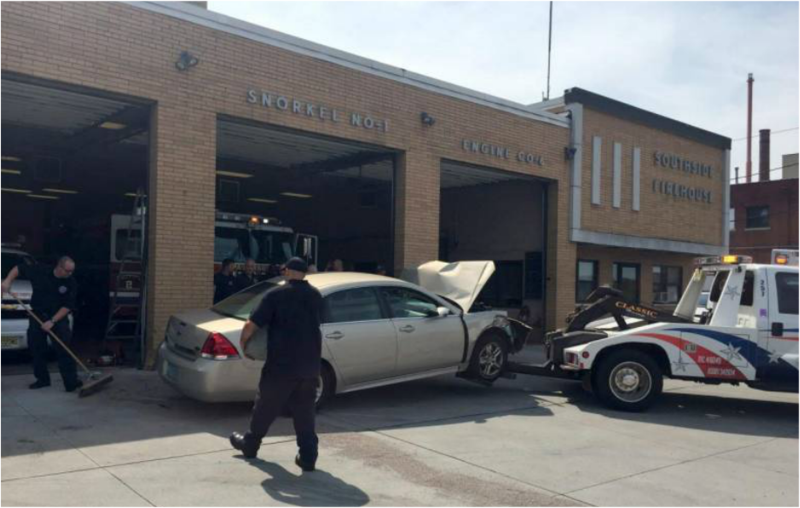 Officials said it was not clear where Walton was heading when the crash happened. 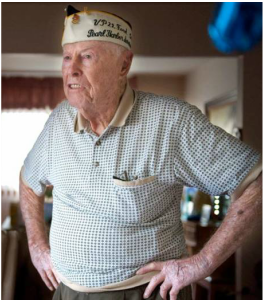 Vancheri, a neighbor of Walton’s, said the veteran still lived an active life and still drove short distances during the daytime and could be found tending the flower garden in front of his Maitland Avenue home. “He was a kind and gentle man,” said Vancheri. 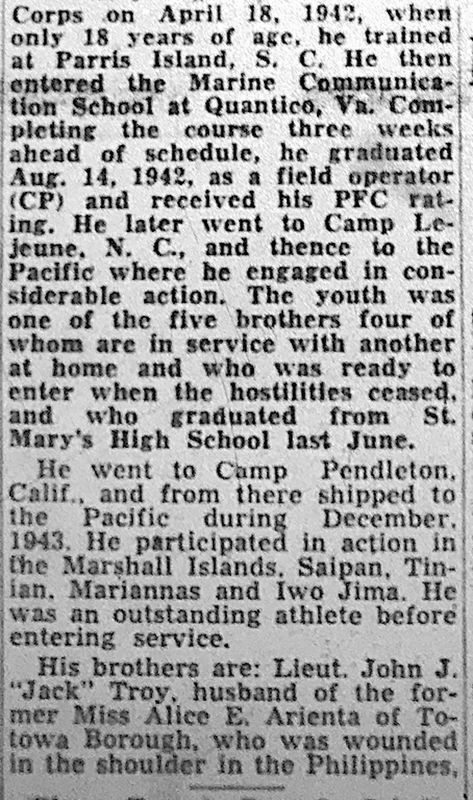 “Everybody liked him.” Walton was in the barracks on Ford Island at Pearl Harbor when the Japanese planes attacked. “We heard this plane screaming. What’s going on? This is a Sunday!” Walton said in an interview with The Record in 2011. “And then we started hearing the bombs going off. We went to the window and see this plane flying over our heads, with the red spots on it. It was probably dropping a bomb on the ol’ Utah out there. Somebody had the sense to say, ‘Better get down to the first floor.’ That’s when it all started for us." "We were in the mess hall on the first floor, and all of a sudden the guys were coming in from the battleships anchored off Ford Island. They were swimming from the battleships to land. They were full of oil, more in shock. 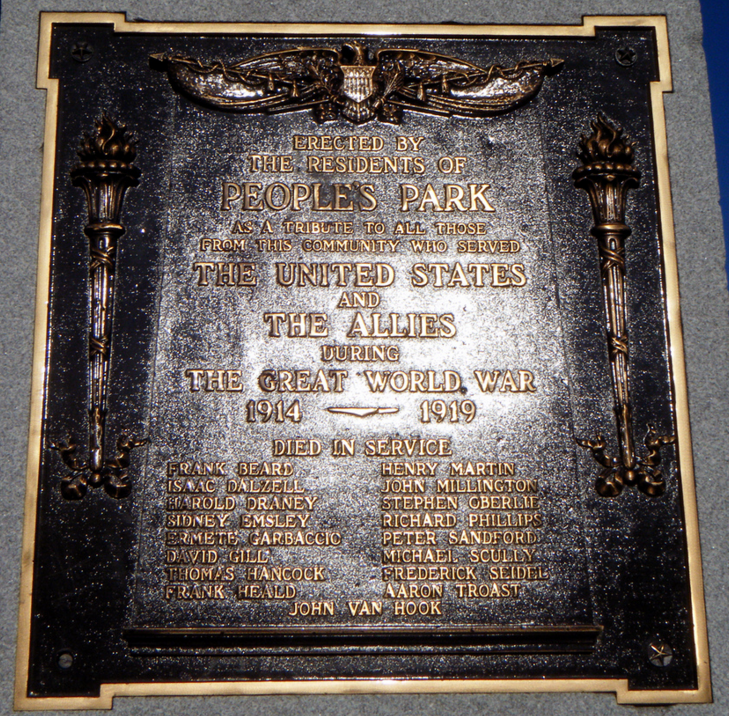 We were helping take care of the poor guys from the battleships." Two years ago, Walton was honored as one of Paterson’s “hometown heroes” by the Boys and Girls Club of Paterson and Passaic. 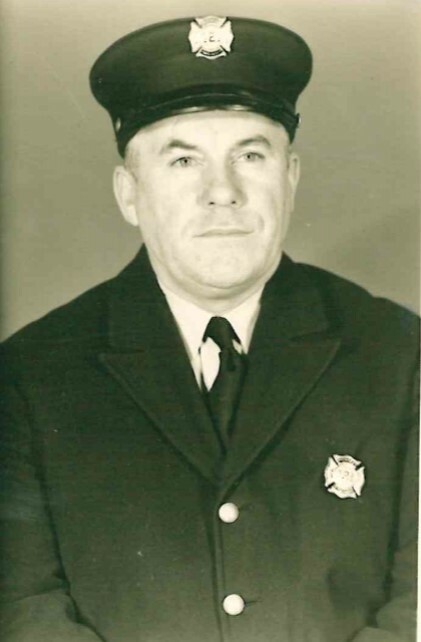 Young Paterson firefighters liked to pose for pictures with him because of his stature. Torres said the flags at Paterson’s firehouses would fly at half-mast in Walton’s honor. In his 2011 interview, Walton said he still thought back on his time in the Navy. "Every once in a while you lay in bed and go over it, I guess,” he said. 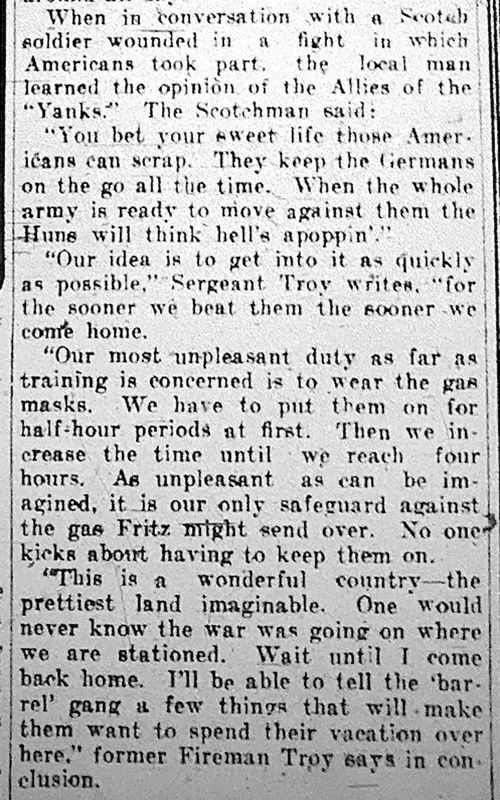 “You think about the fun you had, more than you think about the trouble out there."